When people ask, “What is a life celebrant?” we explain it is someone who helps celebrate life’s great moments. As officiants and ordained non-denominational ministers, our passion is helping people celebrate the life events and transitions in your lives and relationships. It is our joy and calling to officiate weddings, anniversary and vow renewals, blessingways, baptisms, memorial/funeral/end-of-life celebrations, house blessings and space clearing, Divorce rituals, and Milestones/coming-of-age celebrations. See descriptions and fees below. All ceremonies include supplies used by officiant, one in-person consultation, email correspondence, time creating ceremony script, travel and pre-ceremony set and check-in, performing ceremony/ritual, and post-ceremony clean up. 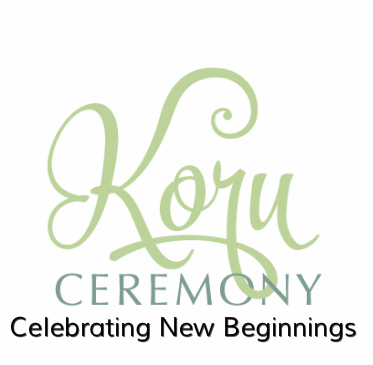 Reduced fee if Koru Ceremony has officiated your wedding or another ceremony/ritual for you in the past. Travel cost is included up to a 50 miles round trip. Additional mileage costs will be added beyond 50 miles round trip at $1.00/mile from the officiant's point of origin. Tell your spouse you would choose him/her all over again after all these years by renewing your wedding vows. Whether it is your 5, 10, 25, 40 or 50th anniversary, the number isn’t less important as wanting to renew your commitment to each other. Do you want to say the same vows or write brand new ones? Do you want the same people from your original wedding party involved or maybe this time include your children or even grandchildren? These decisions and more will be discussed and planned with your officiant. A blessingway is different from a baby shower because it offers friends and family the chance to come together to share in a sacred time of reflection, support, and celebration that is focused on the mother-to-be. 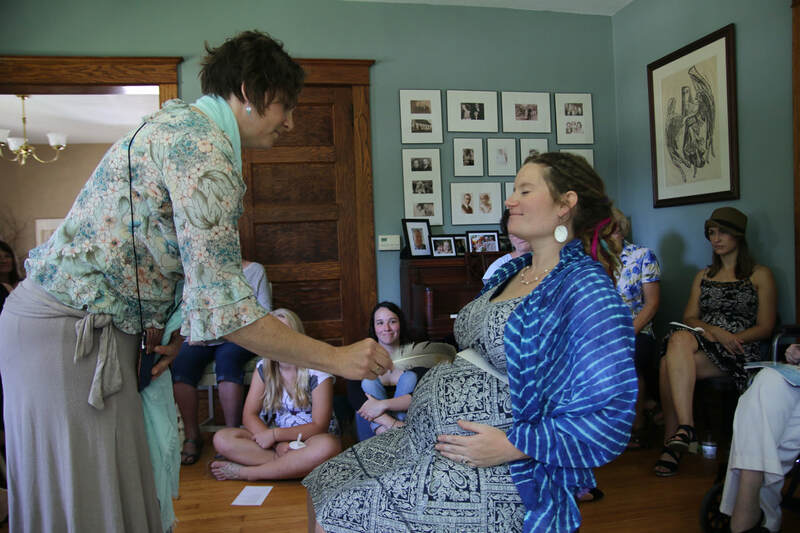 The main goal of the blessingway ceremony is to raise the new mother’s energy for labor, provide her with comfort and support, and help her welcome her new baby. The blessingway may be done as an alternative to, or in conjunction with, a baby shower. It is also a lovely way to honor a new mother and to create a circle of support that will cradle her as she prepares to give birth. After the baby is born we can create a custom baby blessing ceremony or baptism with you that will welcome, honor, bless, celebrate and honor the name of your child. 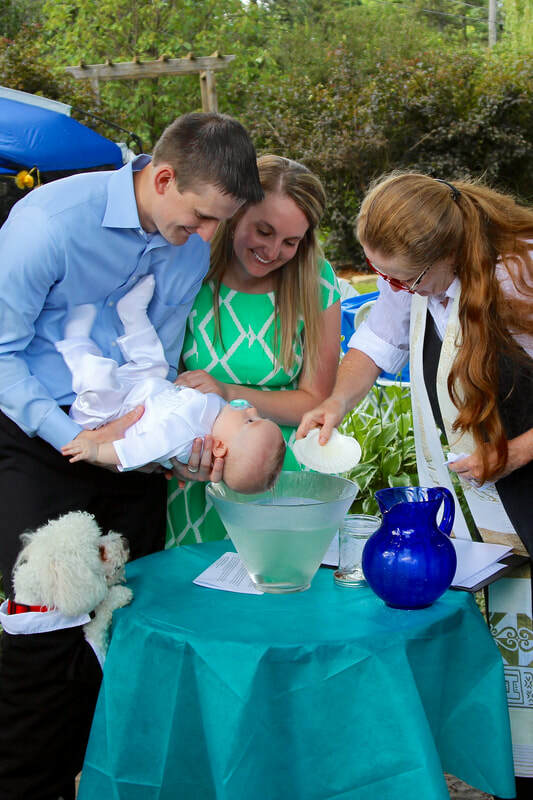 Your baby blessing or baptism can reflect a spiritual, religious, traditional or alternative perspective. It can also combine the rituals of your personal faith and cultural traditions in an uplifting way that honors the whole family. The ceremony can be simple and intimate, festive and elaborate, or anything in between. Planning a Memorial or Funeral service is a way to say goodbye to your loved one and celebrate their life. Honoring your loved one with a special and sacred gathering when family and friends come together and share the memories of years together, as well as, commemorating their death. 1. Beginning with the significance of your loss, and how much your loved one will be missed. 2. Sharing the significance of the person who died. Share stories about their life and what they accomplished. ​3. Establishing their social significance, showing that other people loved them too, that their life touched other people’s lives, and that they had value in the world. The atmosphere of your house is very important as it can play a major role in your health and wellbeing. Your home can impact your behavior, emotions, mood and mental health. In turn, you influence the atmosphere of your house. Ideally, your house is your refuge: a haven for rest, rejuvenation, nourishment, recreation and a place of comfort for you, your family, friends and pets. If you are moving into a new house, or have been living in the house for a long time, a space clearing will help sweep away the energy “cobwebs” that may have accumulated over the years or energy left over from past occupants of the house. After clearing out the old stagnant energy cobwebs, a house blessing ceremony initializes your home with your intention, and builds the foundation you wish to create. A house blessing can disperse any negativity that may be permeating the space, or may be used to charge the environment with positive energy to welcome a fresh start within peaceful, harmonious surroundings. A house blessing can be done at the beginning of a new year, or anytime when you seek to reboot your current living situation.​ The ceremony can be an intimate occasion with just the homeowners or as a group event that includes family and friends, i.e. housewarming party. Whether you wish to mark a mutual marital completion, or simply planting the seeds for “letting go,” a divorce ritual, or parting ceremony, clears the way for healing. A divorce is a life transition, and a divorce ritual can transform lives by fostering an improved relationship between two former partners. The ceremony symbolizes the disbanding of your marriage and the emergence of a new path of possibility for you. A divorce ritual can gently facilitate a healthy grieving process and clear the way for apology, forgiveness and closure. Although the potential for completion and healing is enhanced if both parties participate in the ceremony, a divorce ritual is beneficial to all concerned even if only one of you joins in this ceremony. Friends or family members are welcome to play a role in the ceremony or just be in attendance for support. 3. Has become a grandmother. When children transition from childhood to adulthood is another significant stepping stone in everyone’s life. Many cultures celebrate this pivotal moment in our lives. In American we often talk about turning Sweet 16, getting our first driver’s license, being able to vote, or old enough to drink. 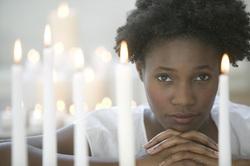 ​But another celebration that we often overlook is when a young girl gets her first menstrual period called menarche. Rather than feeling shame, embarrassment, or shy about a young girl’s changing body, it is something to celebrate. All indigenous people provide their youth with specific rites of passage to signal a change in their status from child to adult. Some of these rituals and more can be explored when creating a Coming of Age Ceremony. Congratulations wedding couples on your new journey! Working in the wedding business I know how much effort it takes to plan a wedding while keeping your relationship healthy. My goal is to not only help you plan your wedding, but to honor your commitment to each other. To help couples strengthen their union, I offer a relationship building course to both engaged and newly married couples. Sunday, 2:00 p.m. - 6:00 p.m. If you have further questions and/or would like to sign up for the upcoming workshop please feel free to contact me. A more detailed Registration Form will be emailed to you upon filling out this form. Contact Rev. Pat at 608.213.7558 or koruceremony@gmail.com or fill out the contact form to check for my availability.